The semi-private BitTorrent tracker Demonoid recently processed its 10 millionth user registration. While many of its former competitors are no longer around, pushed offline following legal pressure, Demonoid is hoping to return to its roots with an active community of likeminded torrent users. The site has disappeared for months, more than once, but always reappeared. That by itself is already quite an accomplishment, but this month the semi-private tracker also reached a numerical milestone. After 14 years, the 10 millionth user signed up a few days ago. To put this into perspective; That’s the entire population of Sweden, and then some. Of course, the majority of these users are not active anymore. Some have moved on to other torrent sites, stopped using torrents completely, or kicked the piracy habit for good. 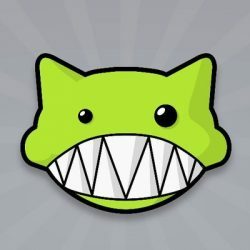 TorrentFreak reached out to Demonoid founder Deimos, who mentioned another caveat. While 10 million people have indeed signed up over the years, roughly two million have been banned or disabled since. Still, it remains a fascinating statistic. The main goal of Demonoid was never to get 10 million registered users. Instead, the site would have preferred a smaller but more active community, which is how it all started. But a lot has changed since 2004. There have been some internal struggles in recent years and aside from a few oldies who stuck around, the site is made up of different people now. “The main difference is the people, the group is completely different from what it was,” Deimos tells us. The old forum is no longer active either. Instead, the link on the site now directs users to the official Demonoid community on Reddit. Another sign of the times. Going forward, Demonoid is hoping to regain the community and vibe it had over a decade ago. Not an easy task with much more pressure and tension surrounding torrent sites, but that’s the ultimate goal. “I think we are getting back to basics, what the Demon community was at the beginning, which was the coolest aspect of the site IMHO. We might not be there yet but we are closer now,” Deimos concludes. At the time of writing, Demonoid’s registration is open to the public, but that changes frequently.